Professional Experience: Admitted to both the Utah State Bar and Federal Bar in 1980. Practiced as an associate attorney with the law firm of Tibbals, Adamson, Peters and Howell and worked on many types of civil and domestic cases. Also worked as a Deputy Salt Lake County Attorney from 1982-1987. Appointed May 1987 to the Third Circuit Court. 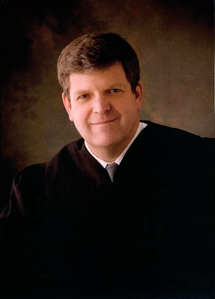 Elected by peers as the Presiding Judge from 1992-1996. Became a member of the Third District Court Bench in 1996. There handled a variety of cases including criminal, civil, domestic and probate, also presided over many trials – jury and bench. Served as the Associate Presiding Judge from 1996-2001. Retired from the bench in January 2015 and currently serves as an active senior judge. Alternative Dispute Resolution: Completed several courses as an active judge in case resolution techniques including a 40 hour basic mediation training course. Conducted numerous pre-trial settlement conferences as an active judge.